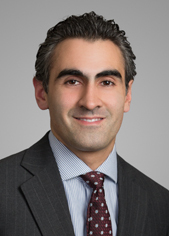 Dante Amenta is an associate in Cadwalader’s Capital Markets Group. His practice is concentrated in the area of structured finance, with an emphasis on commercial mortgage-backed and CRE CLO securitization transactions. He represents financial institutions in both public and private offerings of mortgage-backed securities and other structured finance products. Dante received his J.D. from the George Washington University Law School, a M.T.S. from Harvard University and a B.A. from Wheaton College.